Some people just know how to throw a good party. To those who do, there’s no shortage of ways to spice up the occasion. Even a quick look on either Corona cooler and Corona ice chest will tell you that these are fun and stylish novelty coolers that’ll be sure to add an extra element of ‘legit-ness’ to your beach party, backyard barbecue, or mid-summer poolside fiesta. And come on, we’ve all seen the commercials on TV – who doesn’t want to get in on those California-dreamin’ style Corona hangouts? 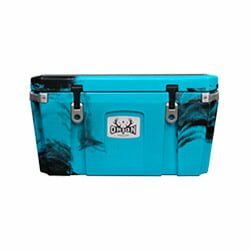 Before we jump into the reviews, we’ll go ahead and mention right off the bat that these coolers are no Yeti’s or Pelican’s. To put it another way, style was put before performance. 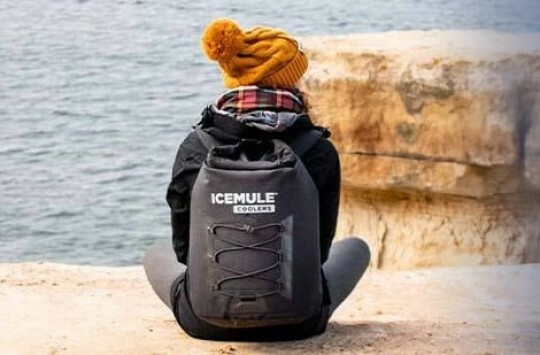 They’re all decent quality, to be sure, and will certainly get the job done for an afternoon or evening of chilling out poolside, just don’t be under the impression that they’re going to hold ice for 3 weeks or withstand a grizzly bear attack (but these coolers can do that). Our reviews will go over 5 different Corona-branded coolers, as well as a handful of Corona beer cooler accessories, that we’ve had the opportunity to test and check out extensively. 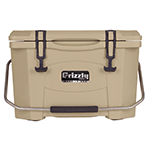 There are two manufacturers that produce this 54-quart stainless steel cooler; the officially Corona licensed CORIC-54 by Koolatron, and another, nearly identical model from Coleman. The differences between the two are minimal; the Coleman is just slightly larger at 24” x 16.5” x 15.7”, while the Koolatron measures in at 23.5” x 16.2” x 16.8”. Both have a 54-quart capacity and can hold up to 85 12-oz cans (with ice). Both also boast stainless steel construction, and have a fixed bottle-opener mounted on the front, as well as stainless steel handles and a heavy-duty steel latch on the lid. These are replicas of the coolers we see on the beach in the Corona commercials. In our opinion, we hands-down recommend the officially licensed CORIC-54 from Koolatron. Although we didn’t experience it ourselves, there were more than a handful of Amazon reviews complaining that the bottom plastic part would come unglued from the main cooler body. Overall, a super cool novelty cooler that functions well and will give your party an extra element of style. 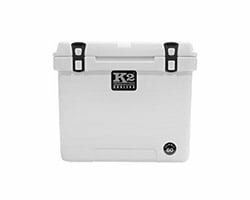 This portable, electric, 48-quart iceless Corona cooler / mini-fridge by Koolatron can cool down to 40-degrees below ambient temperature, and will plug into your vehicle’s 12-volt outlet or any standard 12-volt wall outlet (power adaptor included). 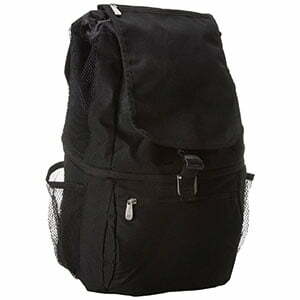 At 23.2” x 17.4” x 18.4”, it can hold well over 80 12-oz bottles or cans. 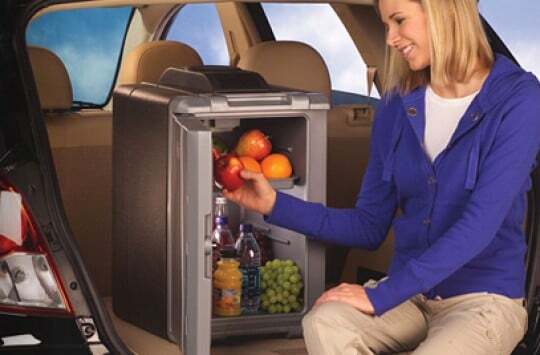 It’s also got a couple cool features that we found pretty useful, such as a fold-down cutting board/lime-holding compartment built into the lid, as well as a super-convenient built-in bottle opener and a couple built-in drink holders as well. 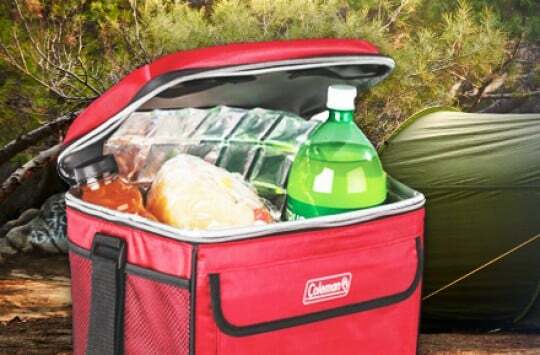 As far as functionality/performance, in our experience the cooler functioned perfectly. We will say, however, that several Amazon reviews claimed that the electric motor burned out after only a few weeks’ use. Seriously, who wouldn’t want a beer can shaped cooler/mini fridge? This 12-volt electric iceless cooler would be an awesome gift or a perfect addition to a man-cave or DIY garage bar, not to mention to a cafe or storefront. At 17.8” x 11” x 11”, it can hold twelve 12-oz cans, or two 2-liter bottles. The body is constructed of heavy-duty plastic, and at right around 10-pounds it’s very portable and easy to transport. Like the CORC-24 electric cooler, this one also the ability to cool down to 40-degrees below the ambient temperature. As fun and sweet of a design as it is, performance-wise we’d be lying if we said we thought this thing was an extremely well-made product. The reviews are split about 50/50 in regard to whether or not buyers were pleased with it. Like with all Amazon purchases, though, returns are pretty convenient if it doesn’t work properly. This retro-style 13-liter Corona metal cooler by Koolatron is one of the most stylish of the lot, and also one of the best constructed. The body of this sweet Corona metal ice chest is made of stainless steel, with polished chrome accents over the corners and a chrome handle and swinging handle lock. At 13-liters and 9” x 11.5” x 14.5”, it can hold up to 18 cans or 12 bottles. The red and blue retro Corona logo is super eye-catching, and will be sure to produce some, “Hey, nice cooler!” comments at the beach. Again, performance wise none of these coolers are truly state-of-the-art, but they can more than hold their own in the functionality category. And style-wise, well, it really can’t be beat. Here’s a link to the product page on Amazon. In our opinion, soft coolers are underrated. They are incredibly convenient, lightweight, packable, and are a breeze to sling over your shoulder and make the trek down to the beach, lake, river, or wherever (more info here). Naturally they won’t hold ice as long as a hard-sided cooler, but for a few hours at a time it’ll keep your beers and/or sandwiches at the perfect temperature. This bag, available on Amazon right here, is an officially licensed Corona product, and at 8” x 8” x 10” it can hold up to 12 bottles easily. The material is a decent quality nylon that you shouldn’t have to worry about tearing or wearing down after the first few uses. Another cool, stylish Corona beer cooler that’s got fun and relaxation written all over it. In addition to the style points you’ll get with one (or more) of the aforementioned Corona coolers, you can add some party bonus points to the mix by throwing in some of these pretty cool Corona beer cooler accessories as well. This is a super cool and unique little beer/ice bucket that’s the perfect way to serve drinks while entertaining company, without having to drop a pretty penny on a full-fledged cooler. Bound to impress your guests. Made of quality materials and with the same insulation that you’ll find in a normal cooler, the only thing that gives this thing the title ‘beer bucket’ instead of ‘cooler’ is the fact that it doesn’t have a lid. At 11” x 7” x 7”, it’s designed to hold six beers with ice. Another fun and unique way to serve guest cold beers at a party. This beer/ice bucket has no insulation, so it’s best used when the beers are gonna get snatched up quickly before the ice has a chance to melt. A built in bottle opener adds an extra bit of functionality, too. 7 ¼” tall x 8 ¾” top diameter x 6 ½” bottom diameter – designed to hold six beers with ice. Made in Mexico for added legitimacy points. The perfect gift for your beer drinking buddy or the perfect addition to a home bar, this is a fun little bottle opener/cap catcher combo, both of which can be mounted to a wall or bar top as a permanent fixture. Made of stainless steel and constructed by Brown Manufacturing out of Atlanta GA, the cap catcher measures 3 ⅝” x 5 ⅝” x 2 ⅝” while the wall-mount bottle opener measures 3 ¼” x 2 ⅝”. Mounting screws are included for convenient installation. Pretty self-explanatory; a 2-pack of official Corona beer bottle coozies. 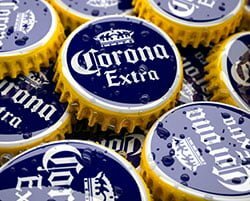 Top off your Corona collection with these guys, pop a beer inside, sit back, and enjoy. As we mentioned from the get-go, don’t expect these officially licensed Corona coolers, ice chests and accessories to be top-of-the-line, uber-performing products. They function just fine for what they are: super fun, unique novelty items that add a bit of style to your hangouts and party-time festivities. All Corona cooler products we’ve covered can be found on Amazon and delivered straight to your doorstep. In case you haven’t seen the TV spot featuring Corona Cooler, here goes one of our favorites (as you’ll see, the metal version is a pretty tough product).